Karthwasten's latest rumors and little secret topic entries need to be checked (local var conditions in particular). The "[...]" entries need to be replaced or deleted depending on how the other entries shake out. All non-quest horses need to have their movement packages removed. Last edited by Texafornian on Sat Apr 07, 2018 4:08 pm, edited 4 times in total. T_Rga_SetReach_I_TileStairs_03	Karthwasten, South Guard Tower	4032	4056	13120	"you can't get upstairs"
T_Sky_Flora_BushPine2_01	Karthwasten (-104,5)	-844074	45552	2775 "things are a little messy around here"
T_Imp_Furn_TapestryBast_09	Karthwasten, Nerus Lalrav's House	3776	4025	15763	"floating tapestry"
rotouns wrote: T_Nor_SetPalisade_Stair_01 Karthwasten Caves, Tarnwasel Palace Ruins 1803 7642 12423 "impossible to walk down the stairs here"
T_Sky_CaveRE_I_Rock_18 Karthwasten Caves, Thieves Guild Hideout 4952 4831 14210 "impossible to pass here, not a tall race"
T_Sky_Cave_I_Railing_03 Karthwasten Caves, Sur-Rata Caverns -886 871 -391 "can't walk down the stairs here, probably blocked by cave shell on the left"
T_Rga_SetReach_X_Window_01	Karthwasten, Ruby Drake Inn	222	204	143	"flickers with the wall, fixed by setpos y 204"
T_Sky_CaveRE_I_Rock_18	Karthwasten Caves, Thieves Guild Hideout	2322	6217	14751	"caspering from the west"
T_Rga_SetReach_X_HouseRuin_06	The Reach, Lorchwuir Heath (-103,3)	-841536	25744	1841	"can't pass through doorframe, empty ruin tho"
T_Sky_CaveRE_I_Stalagmite_14	The Reach, Vorndgad Forest, Bjagherd Hideout	3752	6065	15104	"collision box for an invisible stalagmite coming through the stairs? can't pass"
T_Sky_CaveRE_I_Stalagmite_14	The Reach, Vorndgad Forest, Bjagherd Hideout	3752	6065	15104	"tcb: the mesh is cut off but its collision is not"
T_He_DngDirenni_X_Wall_02	The Reach, Druadach Highlands (-109,7)	-886528	62464	7488	"not perfectly joined with the wall mesh next to it, looking at the top"
T_He_DngDirenni_X_Wall_02	The Reach, Druadach Highlands (-109,8)	-885440	67136	7488	"same but less, only a small gap under where the crenel joins"
Furn_BM_T_torchstand	The Reach, Vorndgad Forest (-105,10)	-852254	89954	2088	"dark light here, but there are fires"
Enchanting 'third barrier_en' has invalid cast type for object 'T_Nor_Ep_Belt_01_WardIron'. 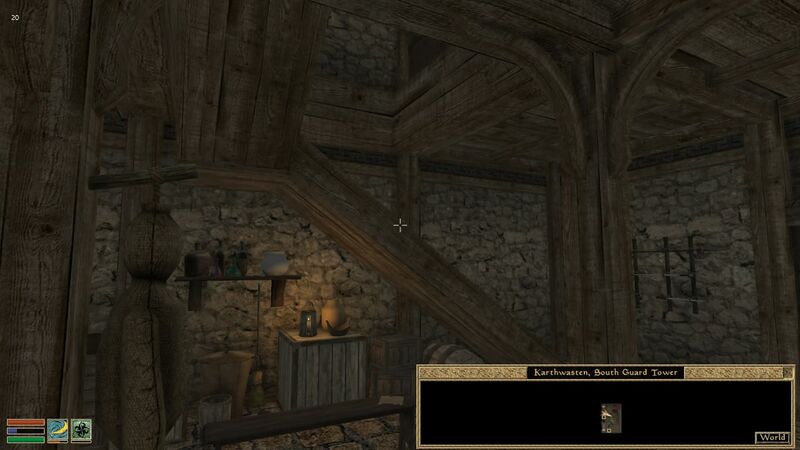 Enchanting 'second barrier_en' has invalid cast type for object 'T_Nor_Cm_Belt_03_WardStone'. 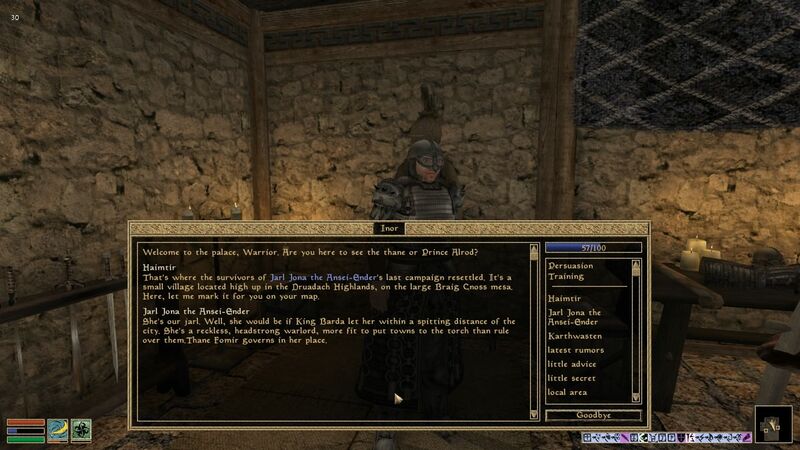 Enchanting 'fourth barrier_en' has invalid cast type for object 'T_Nor_Et_Belt_01_WardSteel'. Someone has reported this bug with some of the new magical items added by SHOTN. 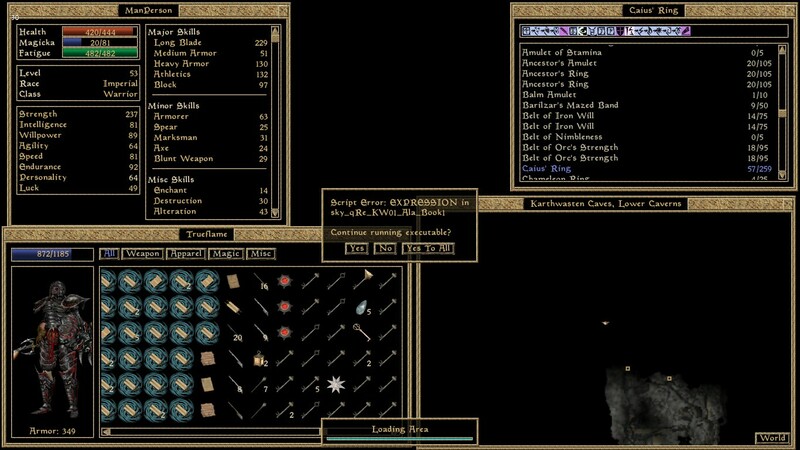 The problem appears to be an error in Morrowind Rebirth, which has since been fixed. Still, it might be worthwhile to replace these vanilla enchantments with copied custom ones, to avoid incompatibilities. 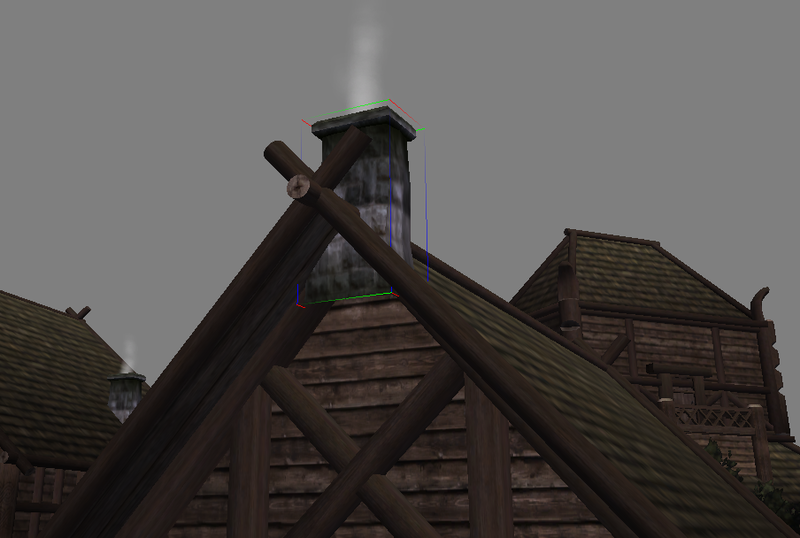 someone should check the chimneys placed on T_Nor_SetMarkarth_X_House_02 in the Markarth exterior. i found a couple chimneys caspering through.